Renata and I first met Steph Nimmo back in 2013 at the Department for Education when a group of SEND bloggers were invited to speak to then SEND Minister, Ed Timpson. She also wrote for us about her experiences caring for her youngest daughter, Daisy, who was living with an extremely rare condition. Time changes everything. 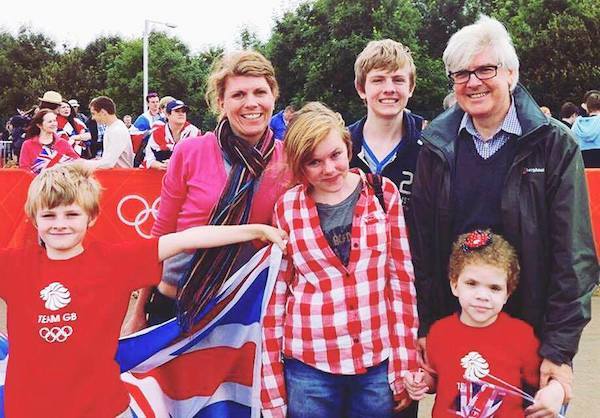 Since then, Steph and her family have suffered unimaginable loss and trauma, first with the diagnosis and subsequent death from bowel cancer of her husband and soul-mate, Andy. Then, more recently, beautiful Daisy's health deteriorated and she too slipped away, the demands of her illness becoming too much. Now, as Steph her two sons, and remaining daughter, now all young adults are learning to live - and thrive - with their new reality. I can't even begin to conceive, from the outside, of what they have been through. 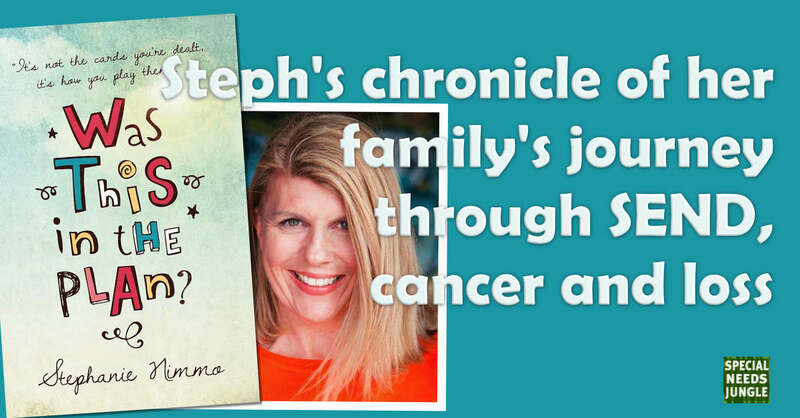 Steph has chronicled their journey in a brand new book, named after her blog, "Was this in the plan?" and she has written for us about it. I began writing my blog “Was this in the Plan?” in 2008. My youngest daughter, Daisy was 3 ½ . She had been born prematurely and not long afterwards diagnosed with a rare genetic condition called Costello Syndrome. While the gene mutation which caused her condition was found early on, things were clearly very different with Daisy. Her health and development plateaued and then she began to become more poorly. The doctors felt that there was a secondary, undiagnosed condition at play. My life became so complicated, caring for Daisy while also trying to be mum to our other three children, two of whom had their own issues with high functioning autism. My husband Andy was working full time, running his own business and although we were often ships that passed in the night as we parented by rota we were determined to make time for eachother, we had seen too many relationships become the casualties of a special needs diagnosis after all. Writing my blog helped me process everything that was happening in my life, especially as I started it at what turned out to be a year long hospital stay for Daisy. By the end of that stay she was completely dependent on total parenteral nutrition (TPN) and was keeping the doctors very much on their toes. Andy and I always knew that Daisy would be life limited. Costello Syndrome is a life limiting condition with a significantly increased risk of cancer and fatal heart problems. Over the years, bladder failure and seizures were added to the TPN dependency, her care became more and more medicalised but we were still determined to make every moment count and enjoy family time, our other children only had one shot at childhood after all and we wanted to ensure they had happy family memories. The cruel irony was that living with the shadow of death prepared us for a huge and unexpected bombshell. In November 2014, Andy my husband and my rock, was diagnosed with terminal cancer. We had met when I was only 20 and had been through so much together, we were a partnership in every sense of the word. Andy died a year after his diagnosis and we were heartbroken, not least Daisy. I think she lost her fighting spirit after this point as her health really deteriorated over the following year. In January this year she became very ill and was taken into the intensive care unit at Great Ormond Street and put on life support, she died a few days later. While her death certificate states she died of septic shock her doctors and I all believe she died of a broken heart. Now my family of six is a family of four but living with Daisy has given us resilience that we never knew we had, we are determined to thrive and not just survive, Andy, and Daisy, would want us to keep going. I began writing my book after Andy died, it was a way of processing the grief and everything that had happened in our lives. I wanted to show that anyone can become a carer overnight, that we are all a gene mutation, a car accident, a life event away from disability. “It’s not the cards you’re dealt, it’s how you play them” was one of Andy’s favourite sayings, we were given what on the face of it was a pretty rubbish hand but we were determined to play our cards well. We have so many happy memories of time with Daisy and Andy, it sustains me, I have great sadness that they are no longer here, I miss them so much it hurts but we really lived, we did so much, and took nothing for granted. Little things such as all sitting together around the table as a family are really the big things in life when you look back. I hope my book will help people reflect on their own lives and the decisions and choices they make when things don’t quite go to plan. find the ebook here and an audiobook download will also be available (link to follow).